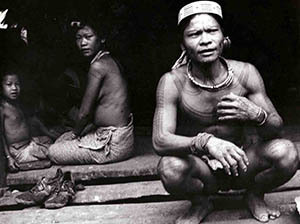 David studied Fine Art at Chelsea School of Art during which time he travelled extensively in South East Asia where he shot his graduation film The Sakkudei on the island of Siberut. On leaving college he made a series of documentaries for the National Gallery in London before becoming a freelance film and video editor. 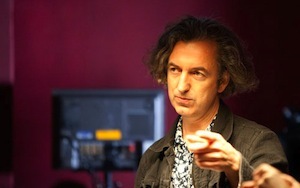 He was senior editor on the first series of Channel 4’s The Word and edited documentaries, music videos and concerts for Blur, Oasis, The Travelling Wilburys, Eurythmics and Take That before going to the National Film and Television School to study directing. He graduated with the award winning short film The Cold Earth an English Civil War road movie shot on location in the Black Mountains, Wales. David has always been attracted to strong issue led drama and directed Life for Daniel (BBC4), a story about a mother's struggle for control over the treatment of her child, written by Rebecca Hughes. He has also directed Judge John Deed (BBC1) written and produced by G.F. Newman and staring Martin Shaw as well as episodes of StarStreet (children’s drama series for Carlton) and the Channel 4 documentary Living on Water which he also produced. David was second unit director and editor on Clubbed, Formosa Films’ first feature. Following his successful collaboration with Producer/Director Neil Thompson on Clubbed, David co-directed Twenty8K a thriller written by Jimmy Dowdall and Paul Abbott staring Parminder Nagra and set in London’s East End and produced by Martin Carr. David has produced and directed a trilogy of river-based documentaries the most recent of which, Dazzle Ship London, a 14-18NOW commission was screened at the Thames Festival 2014. In 2015 David made a film celebrating 140 years of Kingston School of Art, first shown at the ICA cinema in London and a film called Ultra Architecture featuring the work of world-renowned Chinese artist Xian Yang, commissioned by the Today Museum in Beijing. He lives with his partner and son on a Dutch barge on the River Thames.